Almanara, in reality Al Manara (Arabic: المنارة‎), literally means “the beacon”, but in Brazil, particularly in São Paulo, it’s synonym to Arabian food. In 1876 the Brazilian Emperor D. Pedro II visited Lebanon resulting, among other things, in a wave of Lebanese immigrants, which was quite intense until 1890, and lasted until the mid-50’s. Most of them were running away from the Turkish-Ottoman politics with its lack of perspective. In Brazil, most of them started small industries and commercial establishments. Around 1950 one of these families, which had a few years earlier disembarked at the port of Santos (to this day Brazil’s largest port), decided to spread in São Paulo one of the treasures they had brought from Lebanon – a collection of traditional Arabic recipes. The Restaurant Almanara was created. 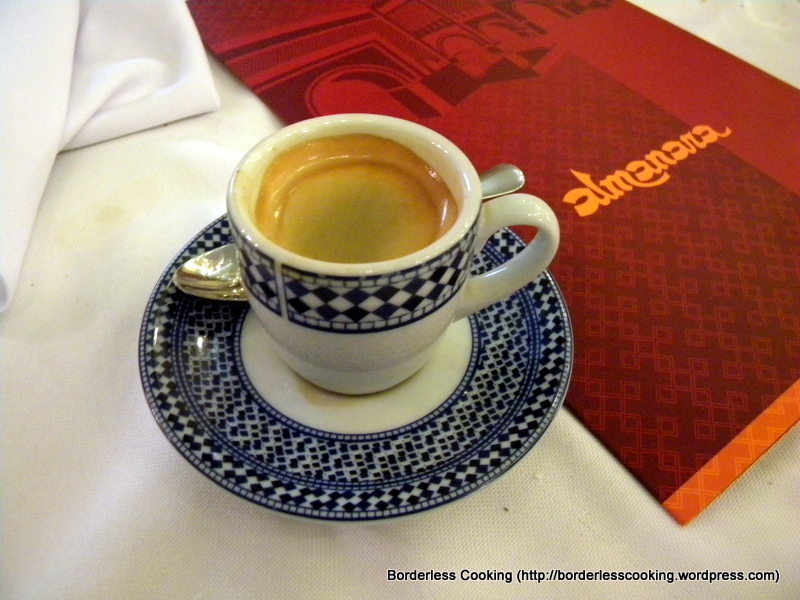 Around 28-30 years later, by the end of the 70’s, I was in São Paulo as a graduated student (I’ve told you that already – See “The Best Chinese Food Ever“), and to have a meal at the Almanara was something I could only dream of. Definitely, that was not a place for students. Well, another 30 years have gone by, and now I can afford to turn some of old dream into reality, among them to have dinner at the Almanara. So, there we went (my wife and myself and, our friends Renan and Leila). 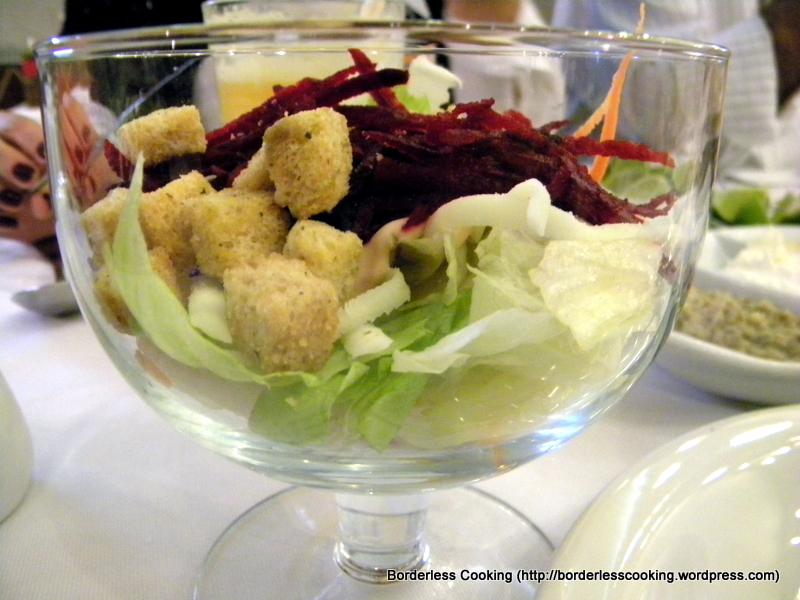 The Almanara salad, nothing special about it. A few vegetables with a rosé sauce. 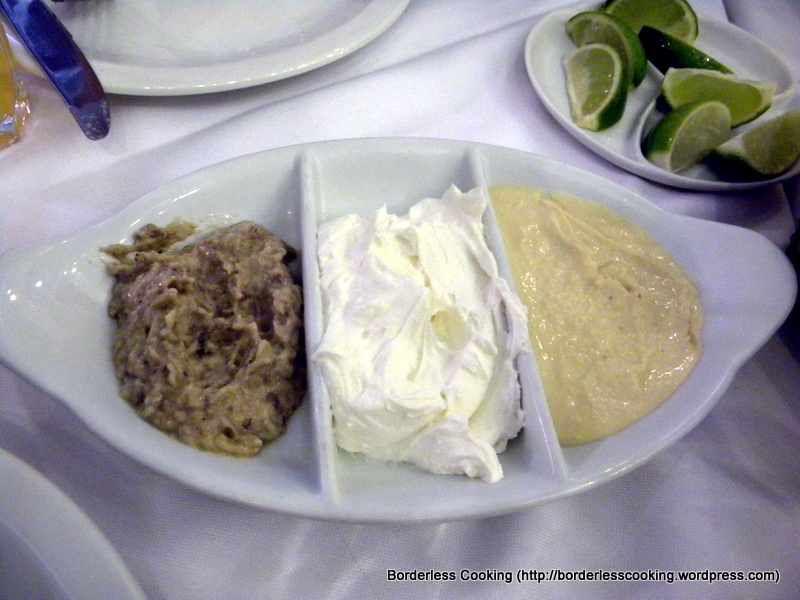 Babaganuche (eggplant patê), curdled milk and homus (chickpeas paste) served with pita bread, probably the best dish of the whole dinner. 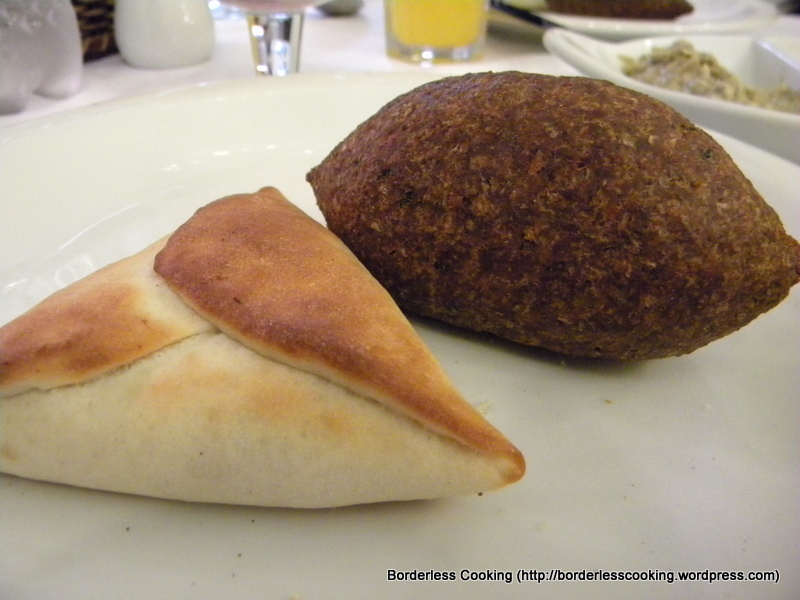 Sfiha, a dough folded in a triangular shape and filled with ground lamb, and kibbe (or kibbeh) a mixture of bulgur and ground beef stuffed with minced lamb. Not bad, but you can find better ones in literally hundreds of small diners and snack bars in São Paulo. 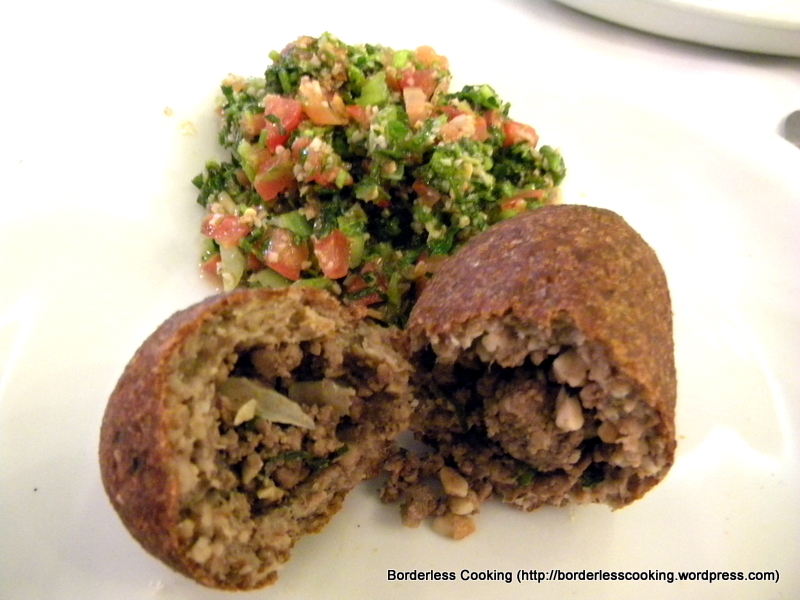 Kibbe and tabbouleh, a salad made of bulgur, chopped parsley and mint, tomato and spring onion, seasoned with lemon juice and olive oil. 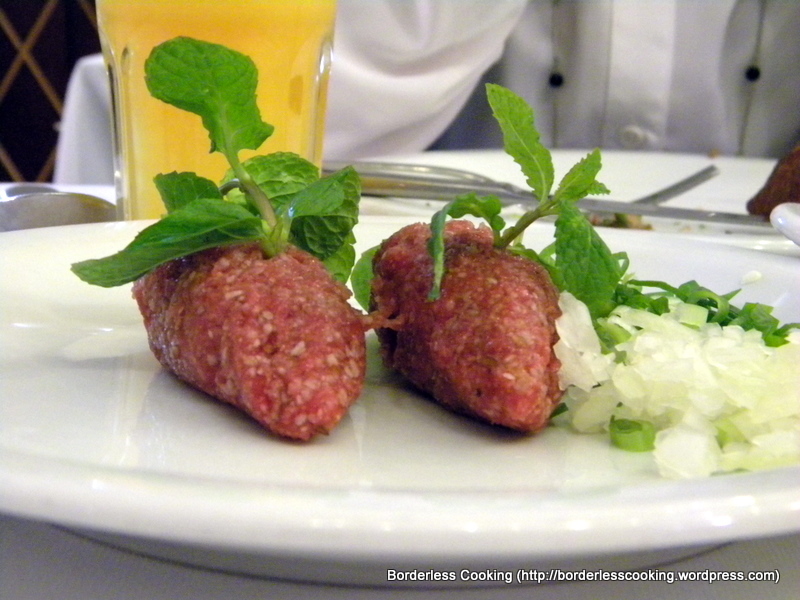 Raw kibbe, what I’ve classified as a Middle Eastern steak tartare. Not that I’m a very good cook but, honestly, a can prepare a much better one. 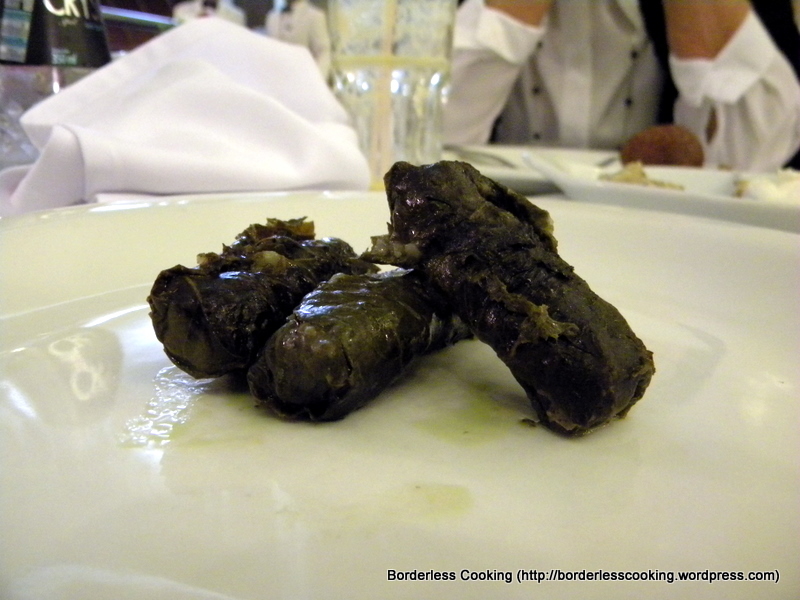 Dolmas, grape leaves stuffed with ground beef and rice. The leaves were quite old and bitter, while the stuffing had too much rice and almost no meat at all. 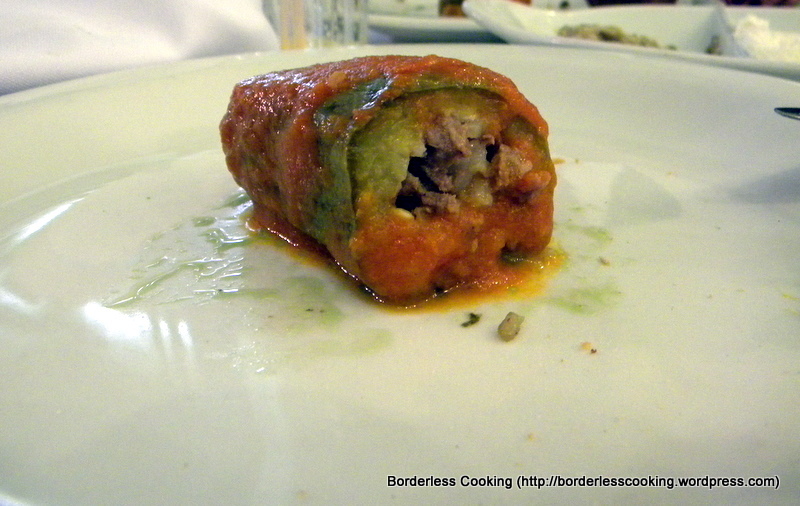 Kousa mish is a dish of Syrian origin composed of a zucchini stuffed with ground meat and rice. At Almanara it was served with a tomato sauce. Quite tasteless, I’d say. 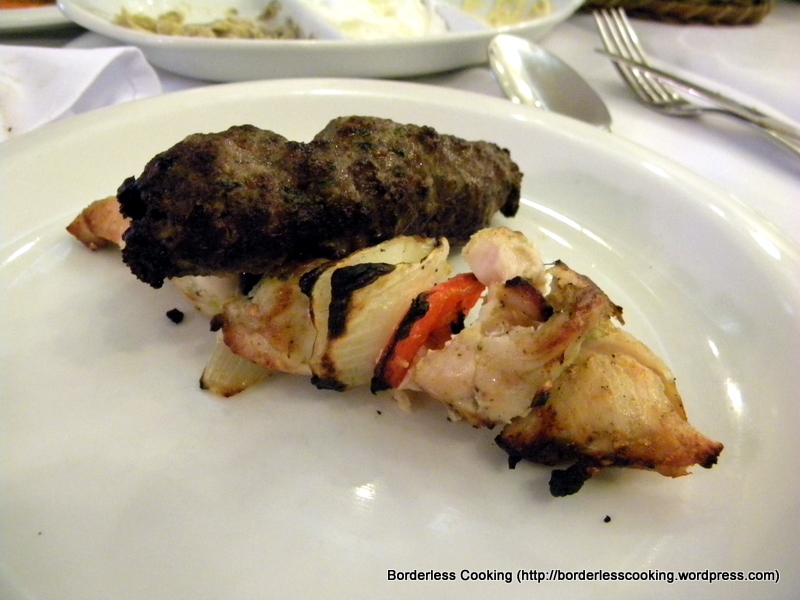 The kafta, grilled ground beef seasoned with Lebanese spices, and the michui, chicken breast skewers with onions and red bell peppers were way too overdone. In conclusion, this visit to Almanara was quite a deception. Wish I had kept my student dream undisturbed. Will try to keep that in mind for the future. ← Foodista Best of Food Blogs Cookbook – Nailed it !!!!! That is a real shame to have a long time dream shattered into a bad experience.